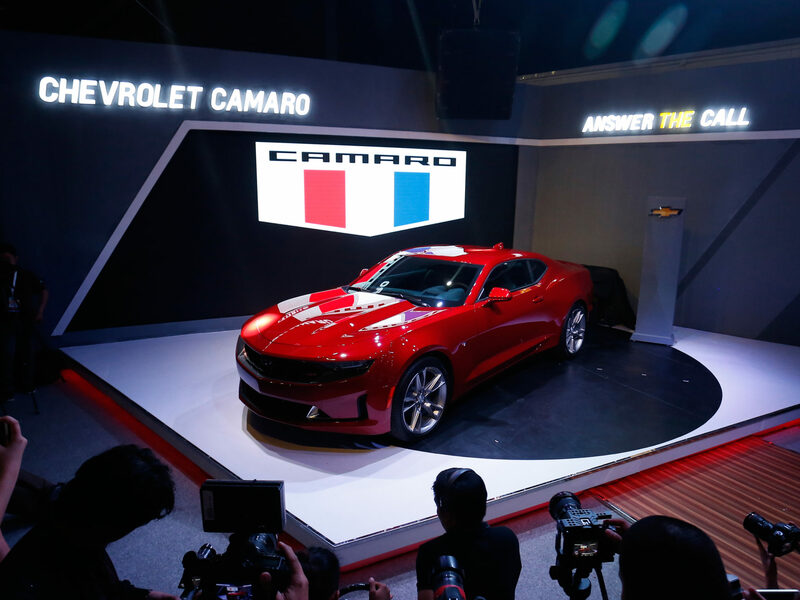 The Covenant Car Company (CCC), the exclusive distributor of Chevrolet vehicles in the company, unveiled the 2019 Chevrolet Camaro at the Manila International Auto Show (MIAS) at the World Trade Center, Pasay City. As Chevrolet’s iconic muscle car returns in the country, the Camaro now flaunts its more aggressive stance, renowned performance, and improved technology features. The Chevrolet Camaro RS is equipped with a 2.0 liter DOHC VVT direct injection turbo engine that produces an output of 275 hp and 293.5 lb-ft of torque, mated to an 8-speed automatic transmission. It is also fitted with Brembo brakes that have 4-piston calipers. With its sculpted hood, bolder grilles, new LED headlamps, signature taillights, and muscular flanks, the Camaro RS will surely capture everyone’s eyes on the road. To highlight its sporty stance, it is equipped with 5-spoke 20-inch tires, decklid spoiler, illuminated Camaro sill plates, RS badge, and black Chevrolet bowtie emblems. Step inside the cabin and you will see a cockpit designed for performance driving. It features a leather-wrapped flat-bottom steering wheel, black leather interior panel, and custom leather-trimmed dashboard and console. The driver’s sport temperature controlled memory seat has an 8-way power adjust, while the temperature controlled passenger seats have a 6-way power adjust. 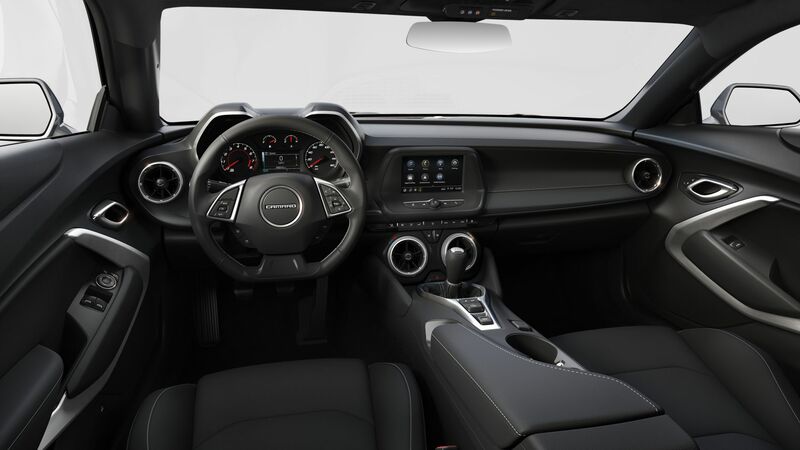 To complete one’ s driving experience, the Chevrolet Camaro RS has an 8-inch display with the brand’s latest MyLink infotainment system with Apple CarPlay and Android Auto compatibility. it is also fitted with Bose 9-speaker sound system. Its Head-Up Display offers different views, projects data near your line of sight. Safety features include StabiliTrak System, Anti-lock braking system (ABS) with Electronic Brakeforce Distribution (EBD), lane change alert, side blind zone alert, rear cross traffic alert, tire pressure monitoring system, engine immobilizer, rear parking sensors, and built-in reversing camera. 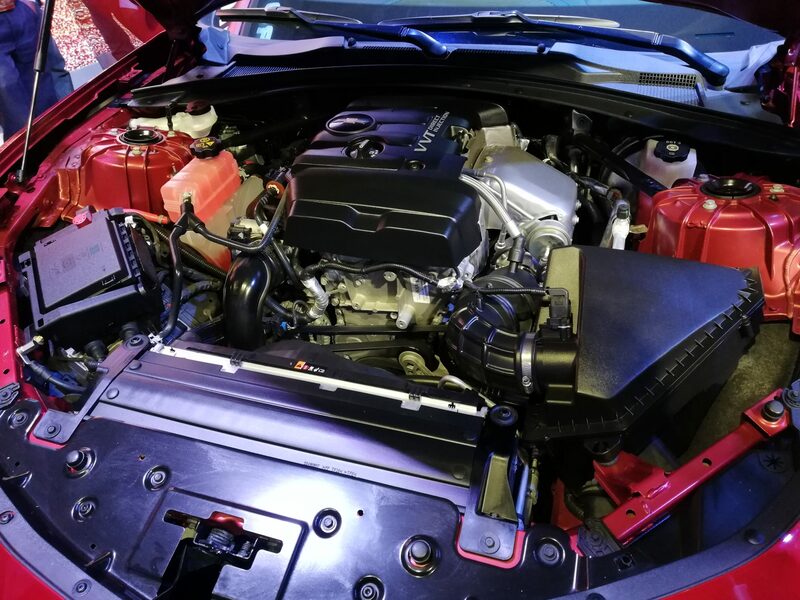 The 2019 Chevrolet Camaro 2.0L Turbo 3LT RS is available at Php 3,298,000.